This is the heart of must see Venice; St Mark's Square, or Piazza San Marco as it is known in Italian, has been the centre point of Venetian life for close on a thousand years. A splendid square indeed; in summer it is so full of light and color that the buildings themselves seem to shimmer and float above it all...beautiful! 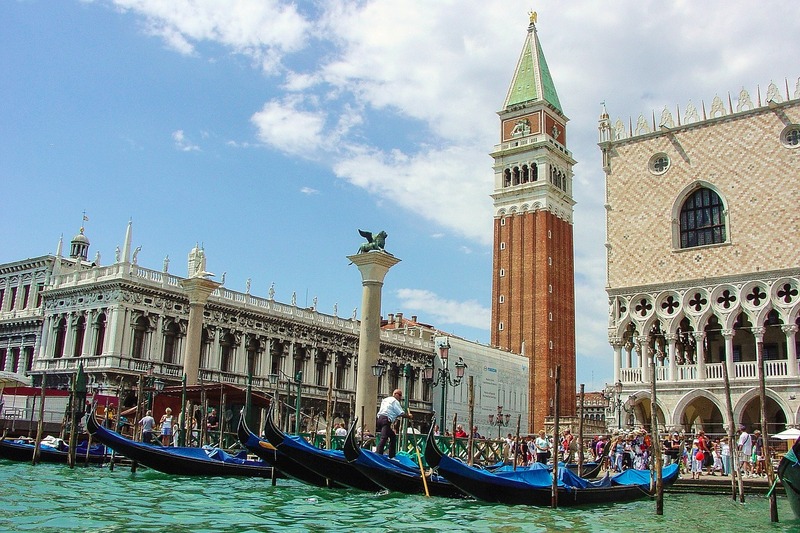 San Marco is the most expensive part of Venice but there's some good news, you can stay just around the corner at the great value and superb Hotel Opera. One of the very few hotels in Venice I recommend with confidence. These are the others! In this one square you will find most of the great sights of Venice – ranging from the famous Basilica through to the bell tower. Despite often being overcrowded St Mark’s Square is truly a magnificent place. If you can find a Venetian in the piazza they will gladly tell you that this is the most beautiful piazza in the entire world and they aren’t far wrong. 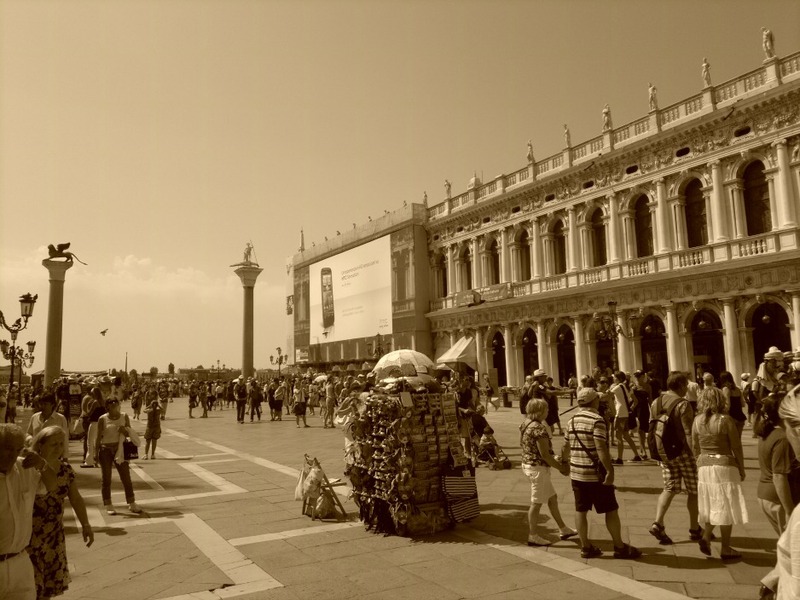 It is also strangely enough the only piazza in Venice – all the others are called campi. 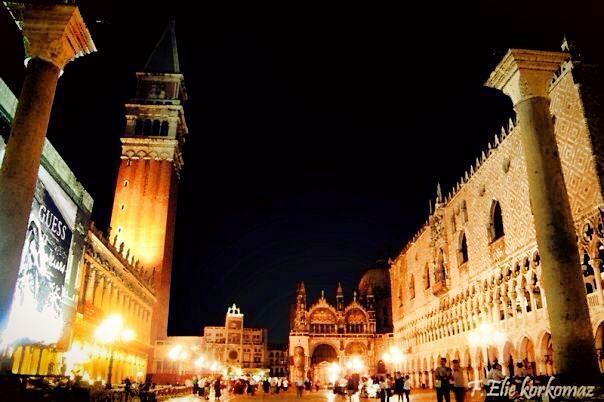 At night St Mark's Square is enchanting. The square dates back to 828 but it was in the twelfth century that the square became recognizably the square of today. Thanks to the fall of Constantinople marble suddenly became available on a massive scale and the rulers of Venice went absolutely crazy with it. It's great that they did, the result is an immensely beautiful space full of light and color. Even at the height of summer I manage to ignore the tourists and transport myself back in time. It is actually easy to do, the scale of this piazza makes the tourists seem quite insignificant. Changes were made over the following centuries with the addition of various buildings, new paving and statues but the enchanting nature of the Piazza has never been lost. Don’t buy anything to eat or drink anywhere near here unless money is no concern for you. Yes, the atmosphere is incredible but even a beer is likely to cost you close on ten Euros. If money is no object then try the Cafe Florian. My advice is to enjoy the atmosphere, visit all there is to visit and then go to one of the places in our Venice Italy Restaurant Guide for lunch or dinner. If you would like to avoid the long lines getting into any of the buildings on the piazza then this just might be the solution. The best place to stay in Venice is.... click for the answer.